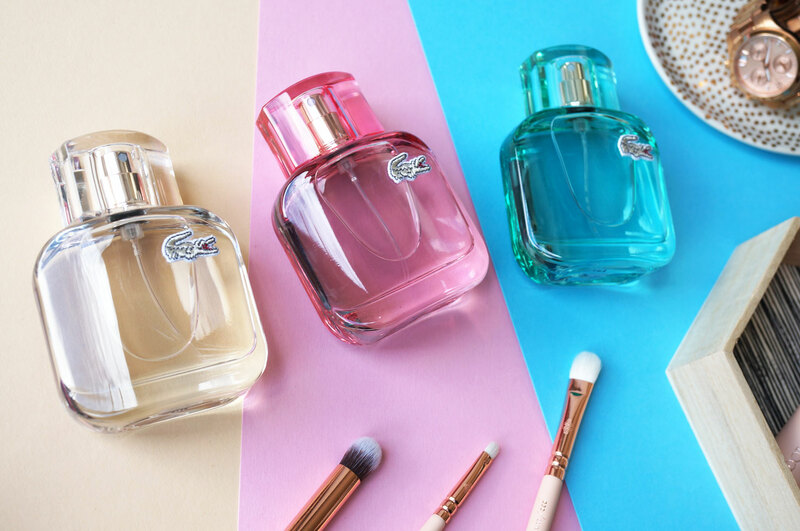 I have some gorgeous fragrances from Lacoste to share with you today! The iconic Lacoste pleated skirt has inspired their latest Eau De Lacoste L.12.12 Pour Elle trio of fragrances, which have been designed to reflect the three moods of the Lacoste woman: Natural, Elegant, and Sparklingly playful. I know it may sound a little odd having a set of fragrances inspired by a skirt, but when you look at what this classic garment represents, it actually makes complete sense – the pleated skirt is instantly recognisable and synonymous with the Lacoste brand, as well as a constant garment within Lacoste’s collections. A pleated skirt can be given a unique twist according to the woman wearing it. This freedom of expression also applies to the fragrances, which reflect three facets of the LACOSTE woman. Around a shared floral jasmine note echoing the timeless feel of a LACOSTE piece, three lively scent structures reflect very different moods – Elegant, Sparkling and Natural – to suit the wearer and the moment. Starting with L.12.12 Pour Elle – Elegant. This fragrance is described as effortless, confident, and classic, but also fresh and relevant. It contains citrus oils, cassis bud and pink pepper to give an instant feel of brightness, mellowed by soft and feminine mimosa at the heart. Vetiver at the base is warm and sensual, whilst adding a touch of masculinity to the scent. Next we have L.12.12 Pour Elle – Sparkling. Super girly, sweet and playful, this fragrance is a definite nod towards Lacoste’s French roots with the noticeably sweet note of macaron at the heart. Top notes of fruit and spice provide glittering sparkle with an edge, while patchouli adds sophistication to the base. And lastly L.12.12 Pour Elle – Natural. Described as uplifting, authentic, and warm – this is quite a clean and fresh scent, much like wearing freshly washed clothes. It contains notes of warming coconut accord with raspberry leaves, mandarin and pineapple, and the powdery notes of orris give a long-lasting base to this otherwise fresh and light scent. 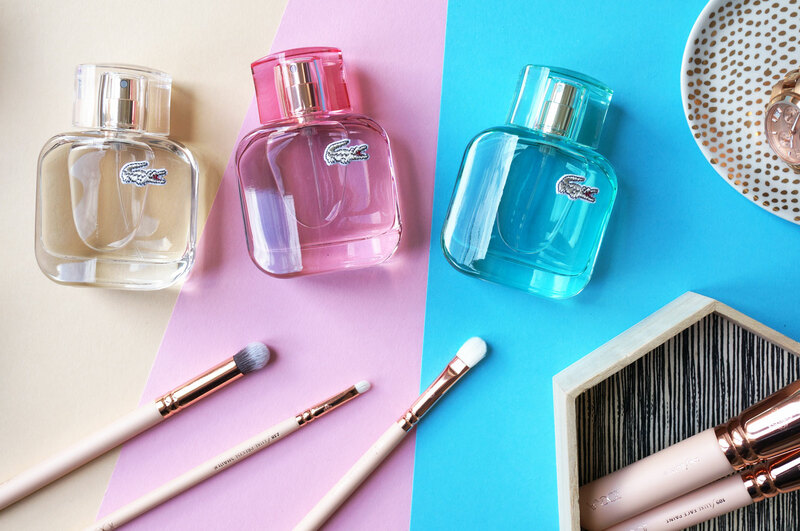 The Eau De Lacoste L.12.12 Pour Elle collection are priced from £30.00 for a 30ml bottle at Boots now. Next Post Beauty News & Gossip 14/08/16: Colourpop, Pat McGrath, Kat Von D & More!